This past week was a failure due to eating ice cream last Tuesday and baked homemade peanut butter cookies on Friday and Saturday. The ice cream cheered me because I got depressed. Tracey and her coworkers are to blame for my fall from grace with the cookies. They sent Tracey home to beg nicely for a batch. 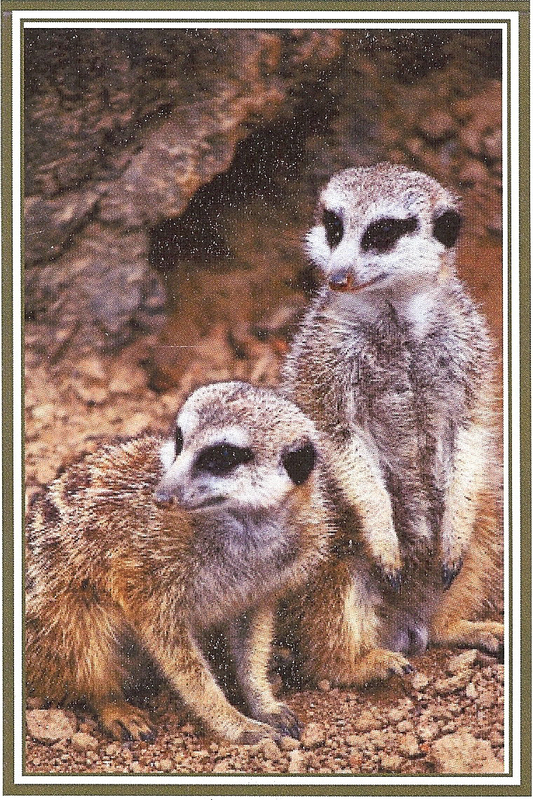 I did get a thank you card but a photo of cute little Meerkats from the Natural Science Center aren’t going to cancel out those calories although I appreciate the thought. Last week was a success only because I didn’t gain weight. And while I did eat a whole box of York peppermint patty ice cream I kept it to that day only. The same with the cookies. I made them very early Friday morning and managed to keep the gluttony to a minimum. Yay, me. Kinda. July the fourth I did excellent. No cravings or anything. Maybe it was a bad strategy to ignore all those cravings and that’s why I caved. At any rate except for those days I did pretty good. What do you think? Dessert free since Saturday. Three days and counting. Goals: Gotta work on keeping those carbs down, they’ve sneaked up on me. I love peppermint patty candy and ice cream, what’s your favorite candy? Do you have a strategy for eating better? About Writing On Wednesdays: Ahhhhhhhhhhhhh! It’s been a while since I’ve written. Sorry about that but I’m here now. In the time I’ve been gone a lot has been happening, some of it good. Really good. I had a great visit with Rex in January/February here in my home. Rex is the only dog I know who can tell time. He knows exactly when it’s ten minutes to five. Wherever you are or whatever you’re doing he finds you, staring expectantly, waiting. He surely does love his kibbles and expects them five o’clock on the dot. If not, he doesn’t mind giving a gentle whine or two as a reminder. Lol. He’s a wonderful dog. Paul and I went to Maryland in February. Holly and I took a tour of the birthing unit in the hospital where Faith will be born. They have labor rooms with beds in them that do the Transformer movies justice. The postpartum rooms are big enough for just one occupant, her husband and baby. Overall a very nice maternity wing. We briefly saw a tiny baby being cleaned up after just being born with his dad hovering over, filming the event. There was lots of hair on that kid; he reminded of Ernie from Sesame Street. The beginning of March I did go to Stellarcon36. I made it through Friday and most of Saturday. I met fantasy artist Mark Poole who also tells funny stories including one about a woman and a dragon on a car. Sorry, that’s all I can tell you but use your imagination. He signed the print I bought of a falcon flying above a pink castle on a misty morning. It’s for Faith’s room if Holly wants it. One more thing. If you like fantasy art but the big bosomed (is that a word? ), naked women offend you then Mark Poole is the artist for you. His artwork is PG (at least the stuff I saw) and awesome. Really, go look and buy what you can afford. We need more artists like him in the fantasy world. Michael Stackpole was also there. I’ve never read his books but I do read his blogs. I found a used book of his in the vendor’s area for an outrageous price, bought it and got him to sign it. Yay. He was fun to listen to and I definitely will read that book I bought. The owners of Buzzymag.com were there. I got to see their wonderful new site, very exciting. We started discussing our health and swimming and I promptly burst into tears. They were kind and I enjoyed meeting them but you know when you start crying all over people you’ve just met there’s a problem. Once I realized I was tired and in more pain than I realized I called it a day and went home early on Saturday. Not the impression I wanted to make but they’re nice people and told me we’ll get together again soon. I’m to go swimming with them if I can get up the courage. I sold my short story, To Touch A Unicorn, to the Buzzy folks. Ahhhhhhhhhhh! Ah, ahhhhhhhhhh! I had to get a few more screams in there, lol. I still can’t believe it’s true. It will be awhile, six to eight months is what I’ve been told. I’ll let everyone know as soon as I can when it goes up. I have to thank Paul because he has always believed in me. Enough to help pay for a writing course there was never any guarantee he would see any return on (there still isn’t but this is a start) even when we really couldn’t afford it. Thanks to my girls, Tracey and Holly, who listen to my ideas. They give me feedback and in Tracey’s case: yells at me to write. Thanks to Diane and Josh who are my writing buddies and read through the many rewrites of this story, you all rock. Next thanks goes to Theresa Bane who said I’ll beta read it for you but then you have to promise to send it in to Buzzy or someone. I did then she did and then I did, now here we are. It sounds like I won an award, doesn’t it? Well in a way I did. There is nothing more rewarding to a writer than to know you’ve told a story good enough to be retold. I hope I have few more in me that are worthy of the retelling. I have started a sequel per Diane’s request. I’m also working on a short story involving a toothfairy and a little girl named Colleen. So what have you wanted to scream about here lately? Sue Santore asked me to visit and write a guest post on her blog. She told me the post will be up this Friday on October 14, 2011. Yay! I’m thrilled and hope she’ll return the favor to me in the near future. We met through How to Think Sideways and started to follow each other on Twitter. 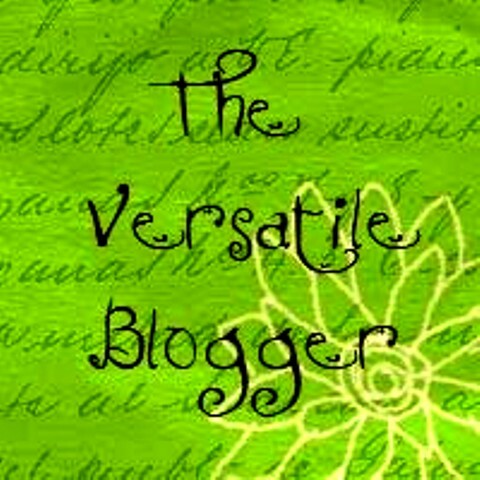 She posts on two blogs, her own and another called Independent Bookworm with some other writers. Sue plays a mountain dulcimer and she quilts. Oh, man that’s awesome. Maybe she’ll talk about one or both of these subjects for us. You know this is my first guest post. Yikes. Talk about nervous. My first thought after saying yes was, are you crazy? What are you going to write about? Then I read the Daily Literary Quote I subscribe to. I’m beginning to wonder about them. 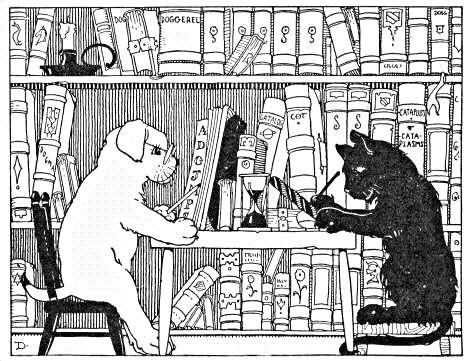 They seem to have a good deal of foresight where my writing and life is concerned or vice versa. Either way they seem to come up with something good for me every time I need it. A quote by Ursula K. Le Guin inspired the post I did for Sue. Hope to see y’all on Friday. Oh, and since I’m in the mood here’s a music video inspired by the Steampunk genre in a Halloween sort of way.